Molly Hruska has been helping clients fulfill their home buying and selling needs since 1990. 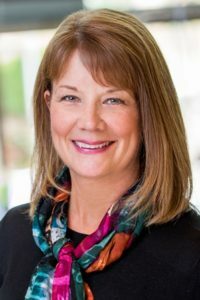 She is a full-time Realtor specializing in Columbia County properties, which includes Scappoose, St. Helens, Warren, Columbia City and on down the road. She also occasionally works in the Portland metro area as well. Molly is very technology-focused and enjoys exploring new ways to implement web marketing into her real estate world. She also knows, however, that this is a people business and appreciates the relationships that she forms with all her clients. Most of her business comes from her past clients or referrals from them, which says a lot for the type of care she provides. Whether you’re a first-time buyer or a savvy investor, Molly has the skill and personality to guide you through the real estate process. Molly is the author of Beyond the Burbs, a blog designed to highlight the people, places and happenings in Columbia County. She is very involved in her community and enjoys writing about various things the area has to offer. She also markets her properties on MollyHruska.com, a full-service website designed to accommodate all your real estate needs. Molly has worked with the same real estate company in Scappoose since 1992, and considers herself very loyal to Berkshire Hathaway HomeServices Northwest Real Estate, formerly branded as Prudential Northwest Properties and her local branch office. This office functions smoothly as a team, providing support to each other and to all of the clients they serve. Molly lives in charming Columbia City with her husband Jack and two labradoodles. When she’s not working, she enjoys spending time with their children and grandchildren, traveling, hiking, biking, kayaking and exploring all the beautiful Northwest has to offer. Molly strives to live an eco-friendly life, which blends well with her personality and lifestyle.